Grace tried out for the 7th grade volleyball team this year. ...Right along with 52 other girls. She has never really played except for a summer camp this summer, but something about that smile made them think, "Hey let's give this girl a chance," and they made her the "team manager." Now, I have to admit I didn't have a clue what that meant, but so far for this team it means a lot of great stuff. She practices right along with the team every day and although she can't actually play in the games, she sure cheers the team along. She is learning all kinds of hard things (like how it makes you sick to your stomach when the whole team has to do 20 pushups for every serve that doesn't make it over the net, and she didn't make even one over out of about 15 tries the first day). 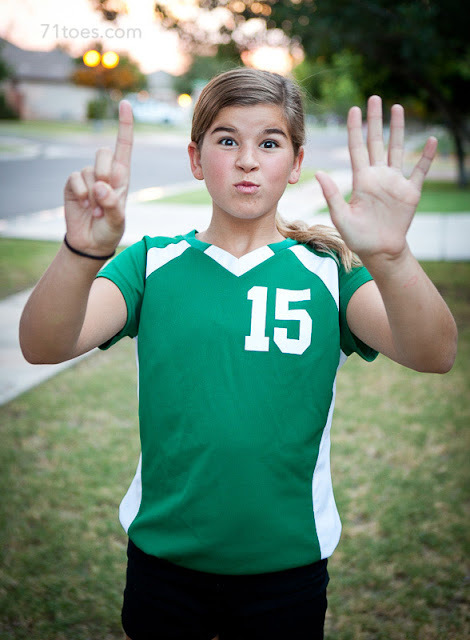 She's also learning all kinds of great things like how the heck to play this game and to be a part of a team. We have had fun watching the games we could get to so far. She has the same cute coach who was the assistant coach when Elle played. We sure love volleyball over here! It's a shame there are not spots for all who want to play. I find it interesting the team sports start as soon as the PE classes just start to be reduced or completely thrown out of the schedule in the upper grades. And we wonder why kids are over weight. Love it! I'll text Grace! I do agree that it's a shame that those that want to play sometimes don't have the opportunity to. I sometimes have to remember living in a TINY village has it's great things, if you want to play any sport, they are thrilled hahah!! I bet your the greatest manager ever Grace! 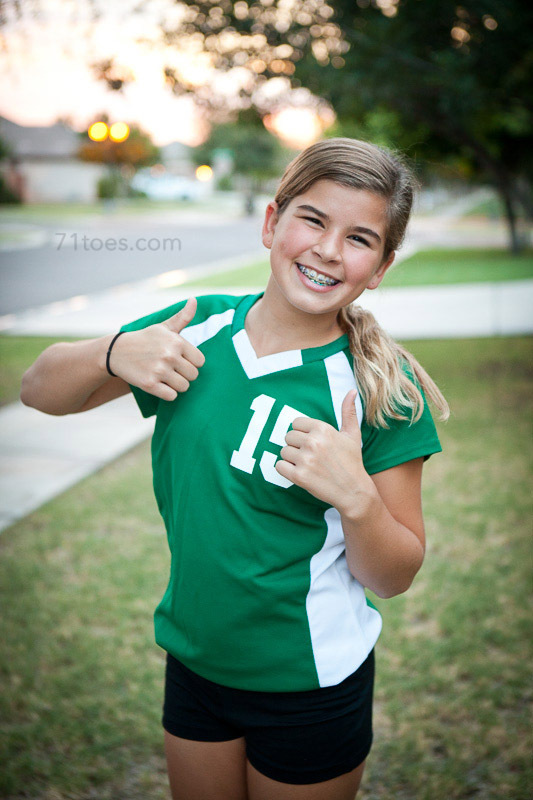 Volleyball is such a great sport! Your tall children will have a wonderful advantage! We live in GA and Volleyball is not a big deal here - we wish it were. Thanks for all the uplifting information and great pics you put on your blog! My daughter was the team manager for the 8th grade team at the same school last year. She had a great experience and learned a lot!